Here is Hurricane Irma at 7:45am CDT. 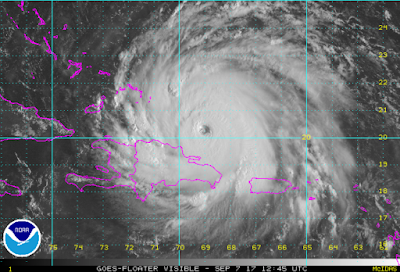 It is still a vicious Category 5 with a pressure of 921 mb. 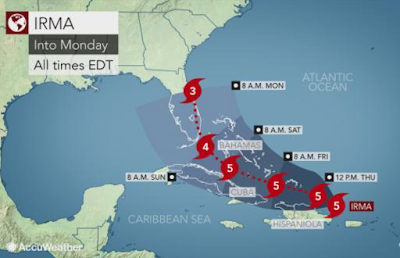 I expect a hurricane watch will be posted for Florida later this morning. THE question is whether the storm will make a landfall in Florida or whether it will turn toward the north and graze the Florida coast. Usually, when the NWS launches special weather balloons and sends their entire force of data gathering airplanes there is a confluence of forecast tracks. In this case, that has not yet occurred. time of arrival of hurricane force (sustained 75 mph) winds. A number of evacuation orders have been issued. Turn off your water, natural gas and electricity in your home before leaving. Prescriptions should be refilled to last at least a week from the time of arrival of the hurricane. 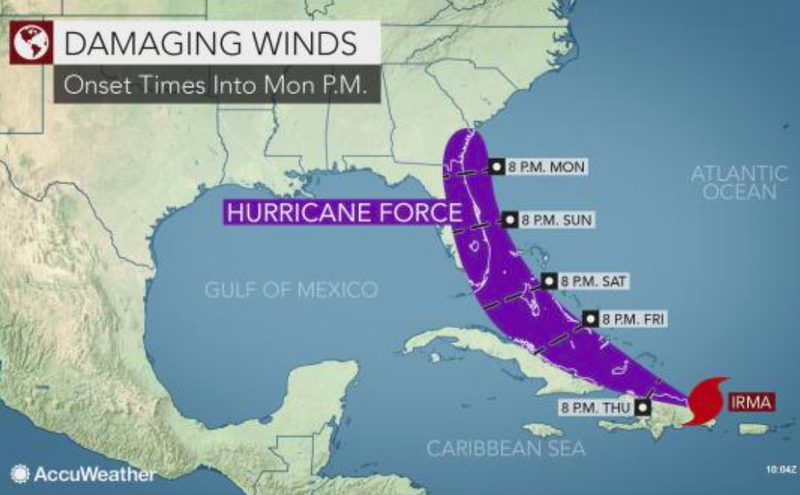 There is the potential for hurricane-force winds in coastal Carolina but there is more time to prepare in that region.